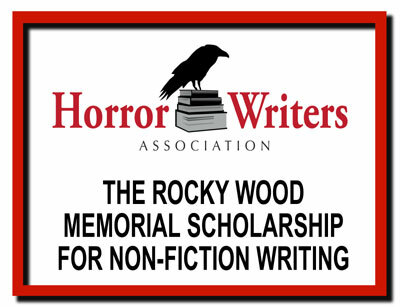 The Horror Writers Association (HWA), the premier organization of writers and publishers of horror and dark fantasy and home of the iconic Bram Stoker Awards®, offers the Rocky Wood Memorial Scholarship Fund for Non-fiction Writing, an endowed fund providing grants for research and writing nonfiction relating to horror and dark fantasy literature. The Fund will provide grants annually (the amount is flexible). Membership in HWA is not a requirement. Wood, the former President of the HWA, passed away in December of 2014 from complications with ALS, also known as Lou Gehrig’s Disease. The Rocky Wood Memorial Scholarship Fund for Non-fiction Writing (the “Wood Scholarship”) is established by the authority of the Horror Writers Association Board with the generous support of individual donors. 1. Membership in HWA is not necessary in order to apply. 2. The application period each year shall be determined by the Scholarship Committee. 3. Funds will be awarded as the result of the competitive vetting process described below in Rule 8. 4. The Board of Trustees of HWA will appoint a sub-committee of no less than three members, including at least two published non-fiction authors, who will be the sole determinants of the recipient of the Wood Scholarship. The sub-committee has the discretion not to announce a recipient if it feels no application justifies a Wood Scholarship. The sub-committee may not give a Wood Scholarship to a writer who has previously received a Wood Scholarship. 5. The announcement of any recipients will occur on a date determined by the Committee each year. 6. Applicants must submit their Plan via HWA’s Submittable account; however, application may also be made available in any other way the HWA sees fit. 7. The Applicant must outline how the Scholarship would be used (a ‘Plan’) and how such use would benefit the field of non-fiction writing regarding horror and dark fantasy literature. That Plan must be submitted as a separate document, uploaded with the Application. c. Proposed works may focus on an individual author or book, historical, scientific, or cultural events or developments, or serve as reference tools for researchers and writers in the field. a. If the expenditure appeared in their Plan and is eligible, the applicant will ask the Treasurer to make payment on their behalf; or they will seek reimbursement from the Treasurer for a payment they have made, providing receipts for that expenditure (noting that no payments made before the Scholarship was announced may be reimbursed under any circumstances). Under no circumstances will advances or prepayments be made direct to the Scholarship recipient– where the HWA contribution is only part of a payment being made, the recipient must either seek reimbursement; or the HWA will make a co-payment with the recipient. b. If the expenditure did not appear in their Plan but is otherwise eligible, the recipient must seek approval for such expenditure from the sub-committee. Such approval must be made promptly (certainly within 30 days); must not be withheld unreasonably; and the recipient has the right to appeal to the Board of Trustees of HWA if not satisfied with the sub-committee’s decision. The Board will decide all appeals promptly, and in any case, within 30 days of the original appeal being lodged. c. Travel, accommodations, conference fees, or any other expense related to presentation of papers at a specific conference. 11. Woods Scholarship recipients have a maximum of two calendar years from the announcement to spend the total funds of their Scholarship. Any monies not spent by the expiry of that time period are forfeited. Any monies spent within the two year but not claimed with 90 days of the end of the two year period will not be reimbursed. 12. The Woods Scholarships will be made available annually but the HWA Board of Trustees has the right to suspend the Woods Scholarship program in any given year if funds are unavailable or to abolish the Scholarships altogether. Notice of such suspension or abolition shall be given no later than 31 October each year. However, no action by the Board shall affect Woods Scholarships previously granted. 13. Woods Scholarship recipients agree to provide bios and photographs to HWA for use in promoting the Scholarships; and recipients will also agree to reasonable requests for interviews regarding the educational experiences provided by the Scholarship. SORRY – THIS SCHOLARSHIP IS CURRENTLY CLOSED TO APPLICATIONS. 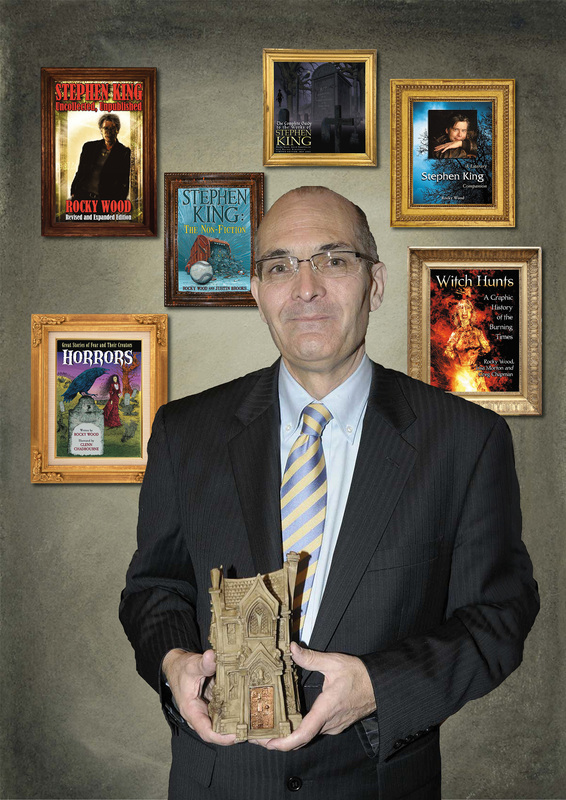 The Rocky Wood Memorial Scholarship for Non-fiction Writing is made possible by the generous donations of Aeroflex Foundation and Hippocampus Press as well as individual donors.